If you’re interested in taking part in one of our Tree Climbing Competitions, then give us your details! The 3ATC Climbing Competitions are run by a team of Arboricultural Association volunteers who want to try and help advance UK climbing practice and safety. With the help of the lecturers, the team have been able to guide and educate hundreds of students, spreading best practice and raising industry standards at a grass roots level. We are inviting climbers of all levels Novice, Expert or Premier to participate in this UK OPEN 3ATC event at ARB Show 2019. 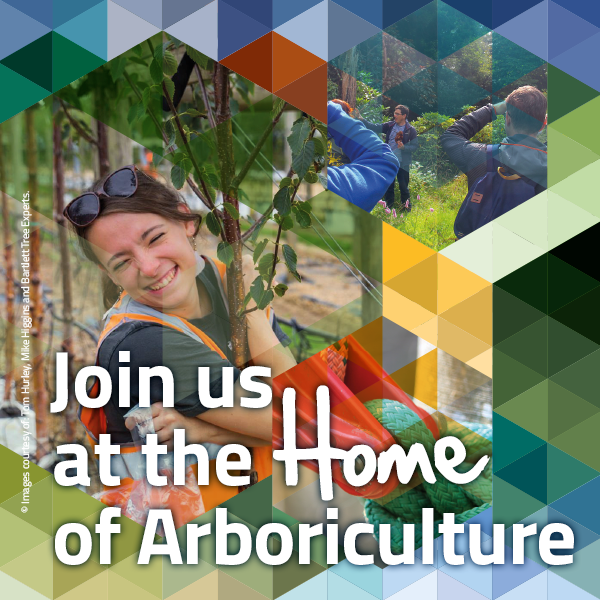 Places include FREE ARB Show entry on the day of your climb. Find out more about 3ATC UK Open Climber Categories click here. In the meantime if you wish to register your interest using the form on this page. Climbers equipment must meet current best practice and industry standards covered by LOLER 1998. We will accept entries from trainee climbers but they must make this clear in advance on the day of the event. We run three separate categories and prizes for this open event Novice, Expert and Premier level. Places are limited due to the number of climbers we can manage each day so advance booking is recommended. Our judges are there to ensure your safety during this event which is scored as much on safe climbing as it is on speed and task control. We would urge participating climbers to download and read the rules and score sheet in advance to give yourself the best chance of winning in your level. Entry to this event costs only £24 entry for Novice, Expert and Premier climbers. Entry fee now includes FREE ARB Show entry for the competitor only if booked in advance! Ideal for students or newer climbers this may be the category choice for you. Following several entries from more advanced climbers we are changing the novice category to an optimum time event. We will run the climb and work out what an optimum time would be for a novice climber to carry out the climb correctly and achieve all the stations. This “optimum time” will be kept confidential and at the end of the contest the closest climber to this time will win the event. Unlike the Expert level your climb will not be based on fastest time so should encourage best practice and safe climbing. Your climb will starting from a top station you will complete a number of simple tasks in the canopy before returning to the ground. Come on, you have been climbing for a couple of years we know you can do it! This should be a walk in the park for you I know just like another day at work but well worth it for the goodies on offer. This event is based on the fastest safe climber’s time. Your time is reduced for some tasks so make sure you know what to do. As a premier climber you should be able to access the tree from the ground install your own anchor point access the trees canopy and finish the climb. We expect every competitor to follow industry best practice and Health and Safety protocols whilst competing deviation may lead to disqualification. If time slots are available competitors may enter the event as they wish but must elect their first "scoring" climb in their chosen category this is the only climb that will count towards prizes. Further climbs in other categories may be made to practice or simply to try and beat your own personal best but again the first climb is the only one that will be registered. This year’s challenge is run on a first come first serve basis so book in early on the day to avoid disappointment. Climbing kit will be available on the day if you fancy your chances and we fit you in.